Glenda united in marriage to David Gupton January 18, 1974. 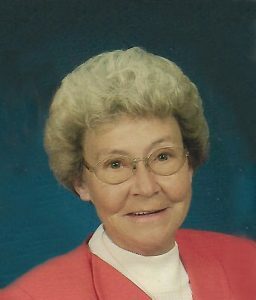 Besides her husband, David Gupton, she is survived by five children: Patricia Druien and husband, Shelby, Mike Close and wife, Marcie, Chris Gupton and wife, Tonya, Melissa Gordon, and Tanya Franklin and husband, Scott of Campbellsville; seven grandchildren: Andy Close and wife, Brandy, Tiffany Tedder and husband, Austin, Haley Franklin, Tyler Franklin, Trey Gordon, Caleb Gupton, and Chloe Gupton of Campbellsville; seven great-grandchildren: Bryton Close, Hudson Close, Ali Close, Jay Coulter, Karlie Tedder, Kaesen Tedder, Krue Tedder; two sisters: Neva Richerson and husband, Max, and Ila Chewning; one brother-in-law, Jerry Gupton and wife, Kay of Murray; several nieces and nephews and many other relatives and friends. She was also preceded in death by a brother, Roger Martin and a great-grandson, Linken Close.